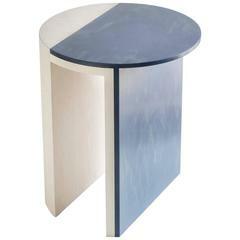 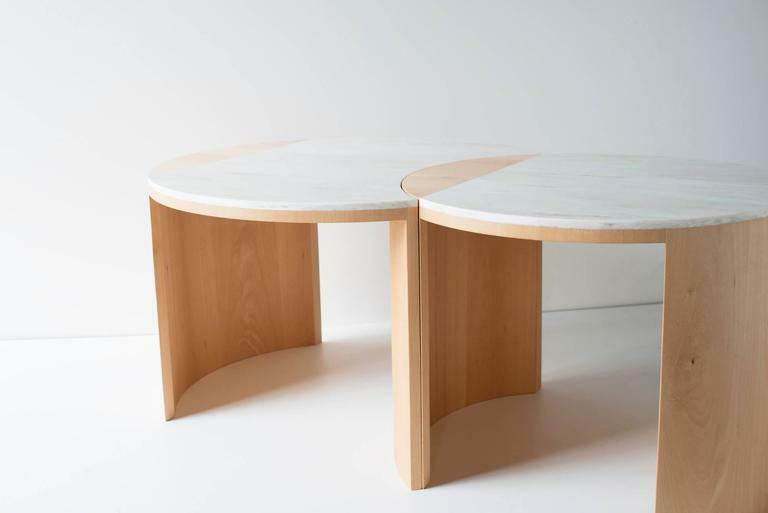 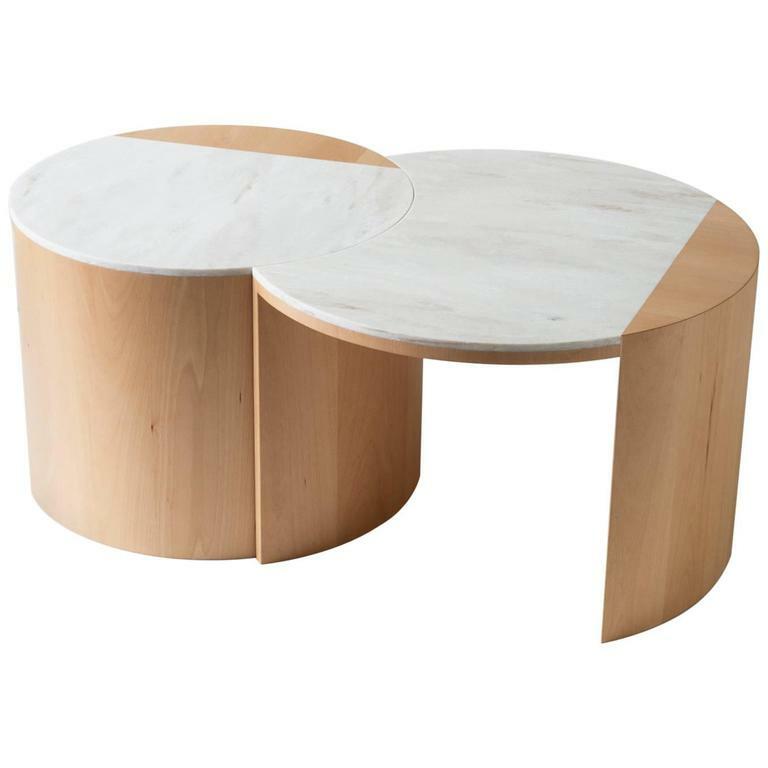 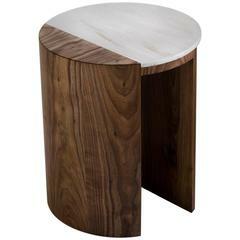 The gibbous coffee table is built in bent plywood, veneer, and Corian. 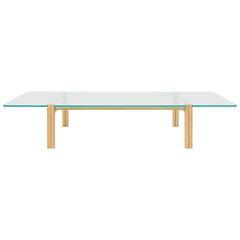 The smaller table is nesting and rotatable, allowing the user an endless number of configurations. 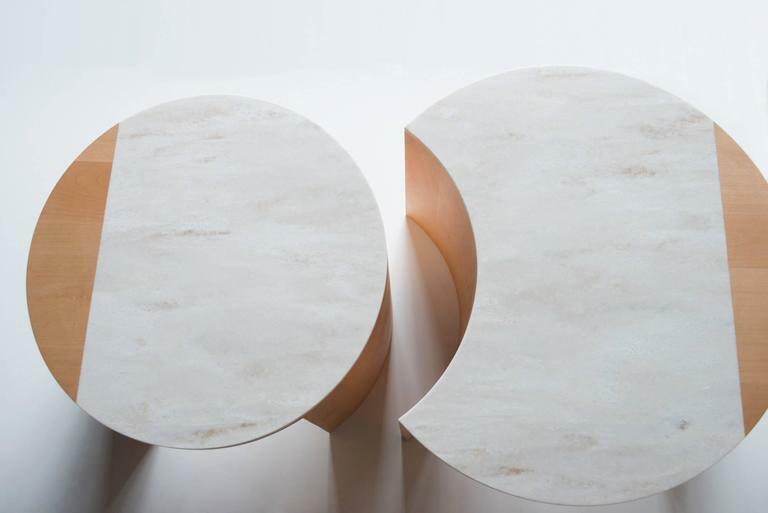 The gibbous coffee table pairs wood and solid surface to create a complex and striking silhouette. 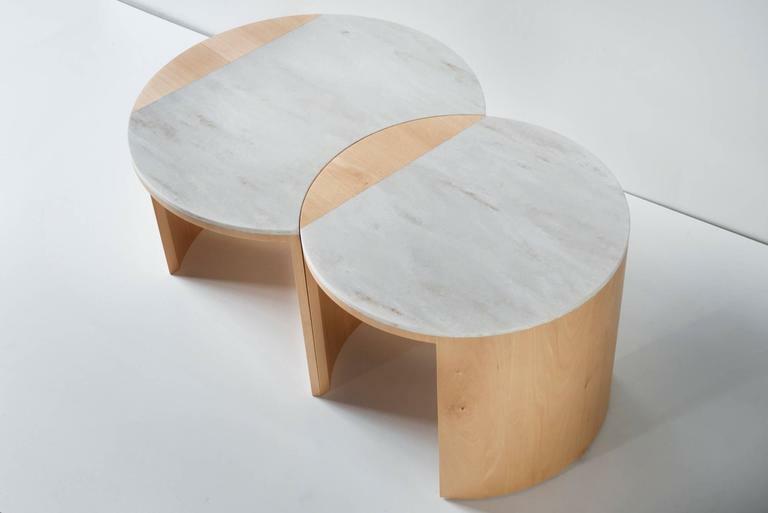 The smaller table is nesting and rotatable, allowing the user an endless number of configurations. 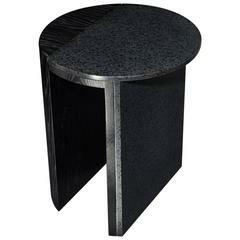 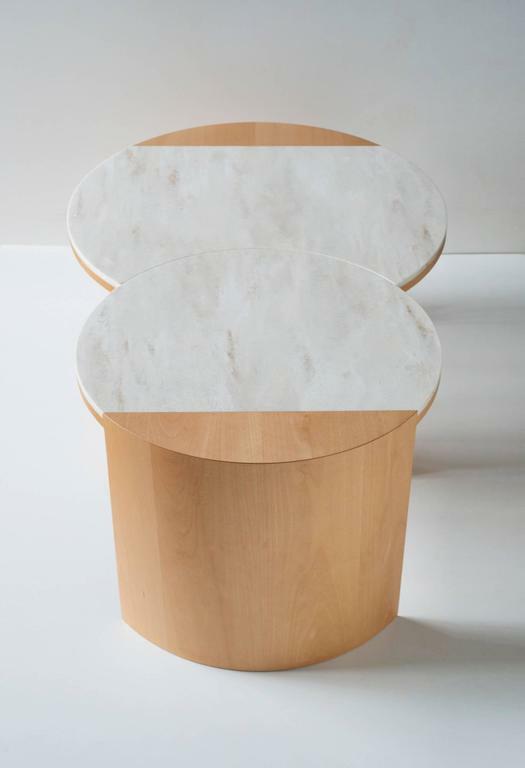 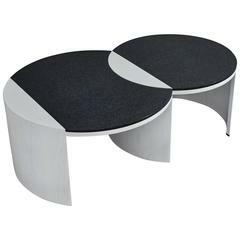 Lacquered versions utilize a V-groove that travels vertically and along the circumference of the table, adding an additional graphic element to this geometric table. 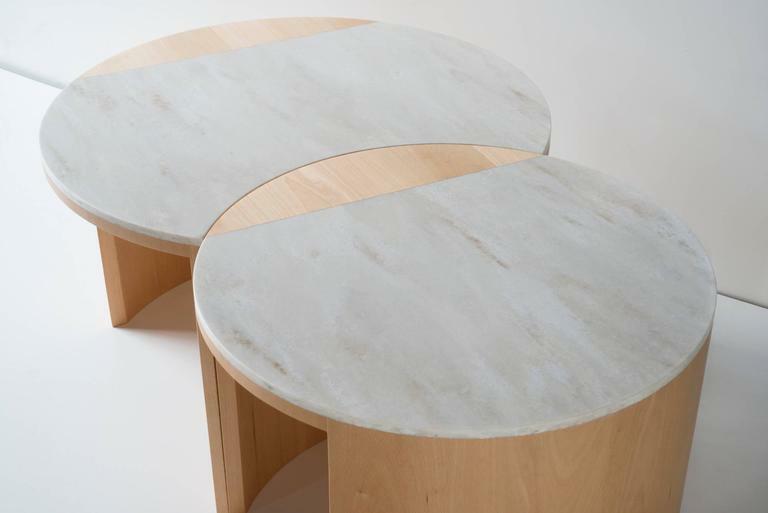 Materials: European beech with Witch Hazel Corian.